Law enforcement officers and prosecutors have been busy in the Silver State. In recent weeks, the Nevada Medicaid Fraud Control Unit and the Attorney General’s office have announced several significant prosecutions. Nevada Medicaid fraud continues to be a big focus within the state. The FBI believes that billions of dollars are lost each year because of healthcare fraud. In Nevada, the amount of fraud may be as much as ten cents of every healthcare dollar spent. In August of 2017, Nevada Attorney General Paul Laxalt announced the conviction of Tamara McManigell. According to public records, McManigell was the owner of Faith in Life Counseling Center, Inc. A whistleblower tip claimed that the counselling center was submitting claims for services not provided to Medicaid recipients. A subsequent investigation revealed that services Faith in Life provided to patients did not reflect the actual services billed to Medicaid. There was also insufficient documentation for the claims. McManigell was convicted of a single count of Intentional Failure to Maintain Adequate Records. In an unrelated case, another whistleblower tip resulted in yet another Medicaid fraud conviction. 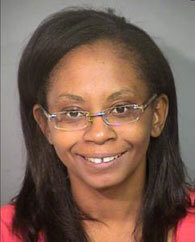 Tiffany Simmons was convicted of a single count of Intentional Failure to Maintain Adequate Records. Prosecutors claim that Simmons was the officer manager of a psychotherapy clinic called Aaron Williams Therapy. 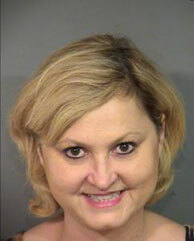 They say that Simmons designed an elaborate scheme to defraud Medicaid and divert funds into her own pocket. Often she would submit claims without proper documentation and later put some of the money into her own pocket. All three of these cases involved false or missing documentation. Nevada Medicaid fraud can take place in many ways. Included within the definition of Medicaid fraud are scams that rely on using missing records, altered cost reports, falsified records, inaccurate dates or description of services and incomplete records. Medicaid is considered the insurer of last resort. In Nevada, 35% of the state’s population is considered low income. The state says that 631,000 Nevadans rely on Medicaid for healthcare. That statistic includes 1 in 3 kids and 3 in 5 nursing home patients. Unlike private health insurance which is paid through premiums, Nevada Medicaid is funded through federal and state tax dollars. State law requires that all Medicaid funded services be medically necessary and properly documented. Without good documentation, it is difficult to know whether patients are receiving appropriate care and to uncover schemes in which someone pockets money. Nevadans are very fortunate. In 1999, the state passed a state false claims act law. Called the Nevada Submission of False Claims to State or Local Governments law, whistleblowers with inside information about Medicaid fraud are eligible to receive a cash award based on the amount of money recovered from the wrongdoer. To claim an award, the person with the inside information files a sealed complaint in state court. While under investigation, the case remains secret. If the state intervenes and takes over the prosecution, the whistleblower is entitled to between 15% and 33% of what monies the state recovers. If the whistleblower’s own lawyers prosecute without government intervention, the recovery is between 25% and 50%. Whistleblowers who planned or initiated the wrongful conduct may be denied an award. Mere participation in the wrongdoing, however, usually does not preclude an award. Unfortunately, some healthcare workers such as billing clerks are reluctant to come forward because they were ordered by a supervisor to submit phony invoices or engage in other wrongdoing. In Nevada, those actions should not preclude recovery unless the person blowing the whistle also “planned or initiated” the criminal conduct. 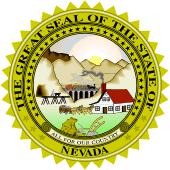 Nevada law generally only awards whistleblowers who are the first to file. If two people with similar information both report, only the first to report gets the award. In Medicare fraud cases, the federal government has a similar whistleblower award statute. Called the federal False Claims Act, awards are slightly smaller and vary between 15% and 33%. Often one can claim both a federal and state award if both Medicaid and Medicare fraud are involved. Nevada Revised Statute 357.250 prohibits the discharge, demotion, or suspension of an employee or contract worker who files a Nevada whistleblower claim. Even threats, harassment or other forms of discrimination are illegal. Damages for illegal retaliation include reinstatement, double lost wages, other damages and attorney’s fees. The federal False Claims Act has similar remedies. Nevada Medicaid fraud is a serious crime. Healthcare workers who blow the whistle on fraud help stop greed and corruption, save taxpayers billions of dollars each year and protect the integrity of our healthcare system. Sometimes, their actions even save lives. If you believe that a healthcare company is fraudulently billing Medicaid or Medicare, you may be eligible for a reward. Report Online or Call Us to Stop Fraud and Check Your Reward Eligibility. You can also visit our Nevada Medicaid Fraud Whistleblower Information page.